Thyroid Gland - Are You Ready for a Change? The thyroid, also referred to as the body's butterfly, is one of the most important parts of our endocrine system; this gland regulates everything from our mood, our weight, our body temperature, metabolism, and even digestion. What can be the tricky part about understanding if there is a thyroid dysfunction is also realizing that all of these health issues can be both a cause and effect on the thyroid. It’s essential to our overall wellness and is constantly adapting to our current state of health. It acts as a modulator but is also very susceptible to our actions and as a result, it can quickly become out of balance. 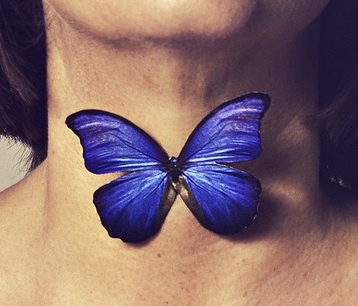 The thyroid is a butterfly-shaped gland that is found in the front of the throat right below the Adam’s apple (the larynx). There are three thyroid hormones regulated by the thyroid, two of which are commonly known as T3 and T4. The other is lesser known, yet still important and called calcitonin. These hormones control the body’s metabolic rate as well as contribute to heart function, digestive health, muscle control, bone maintenance, and even brain development and mood. The release of these hormones are completely controlled by the TSH (thyroid-stimulating hormone) that’s produced by the pituitary gland. They are utilized in the body to assist with energy and also affect how other hormones in the body work. It’s estimated that 30 million people have a thyroid disorder of some kind. Many people suffer from underactive thyroid, known as hypothyroidism, while others suffer from overactive thyroid disorder, or hyperthyroidism. Both can be detrimental to one’s health and cause a host of other health issues to occur as a result. Hypoythyroidism is most common, especially in women. It can lead to weight gain, a slowed metabolism, low energy, depression, digestion upset, mood problems, joint pain, poor memory, muscle stiffness, headaches and more. It often leads to autoimmune disease disorders known as Hashimoto’s and Graves disease due to the way the thyroid affects all major parts of the body. Hypothyroidism can cause anxious-like energy, problem gaining weight, higher body temperatures, trouble sleeping, and overactive digestion. The reasons for a thyroid disorder are hard to pinpoint since many things can cause an imbalance quickly. A poor diet, too much or too little exercise, consistent stress, trauma, a food allergy, lack of rest, metabolic disorders, other hormone disorders, medication and birth control pills, and so many other things can affect one’s thyroid. Many women in their early 20′s and 30′s begin to show thyroid problems, but it can occur at any age, even babies and young children. How do we Nourish the Thyroid? It is important to realize as with any recommendation for healing it all begins with PH. The more alkaline your body, the better the environment for healing. A diet rich in animal products will be a very acidic backdrop which will make the disease or inflammation thrive especially cancer. A diet rich in plant-based products will be on the alkaline side which cancer cells cannot even grow. ♥ We will be focusing on plants as this brings about a quicker healing process and regeneration of healthy thriving cells throughout the body. ​One of the main nutrients needed for a well-functioning thyroid is iodine, yet too much can actually pose a problem and lead to hypothyroidism, therefore it’s crucial not to just assume that taking an iodine supplement will fix the issue. Other nutrients necessary for a healthy thyroid (and metabolism) are B vitamins, good clean sources of fat, substantial amino acids (protein), and a variety of fruits and vegetables that supply high-quality vitamins and minerals. Though many animal foods contain B vitamins and some even have good sources of fat, such as fish, eating these foods are not necessary or nearly as effective as plant-based nutrients to maintaining a healthy thyroid. In fact, though fish is a natural source of iodine, it’s also dangerously high in mercury, with more and more research being found everyday just how toxic fish is to our bodies. Mercury can cause not only problems to our thyroid, but also permanent neurological damange. And while foods like eggs and lean poultry supply B vitamins and are a better option than red meat, they are overall not the best source of nutrition for long-term health. On top of that, there is the concern for the Earth and the impacts of factory farming on our environment along with compassion for those animals being tortured and slaughtered by the millions. The paradigm that we have to do this to animals to survive and be healthy is quickly shifting. Eating a diet that supports your thyroid is completely possible to do without animal products. The key thing to remember is to stay away from processed foods as much as possible because remember: Whatever you put in your body is used as either fuel or has to be circulated through the organs to be detoxified because it’s a foreign agent to the body. This slows down all the body’s intended purposes, including producing thyroid hormones. Your body doesn’t recognize chemicals, additives, hormones, pesticides and excessive amounts of processed salts and sugars. It needs real food. 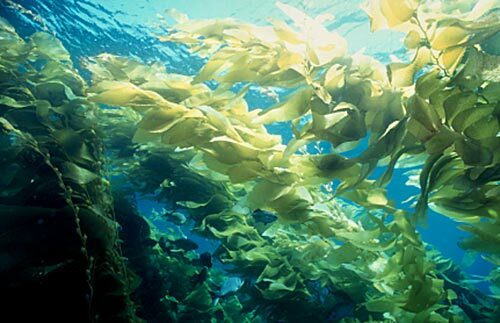 One of the best sources of iodine in a plant-based diet are blue-green algaes and kelp, which is where fish obtain their omega’s and their iodine from. Spirulina is one type of blue green algae and supplies plentiful amount of iodine with 10 percent of your daily needs. In conjunction with a well-balanced diet, one would be able to get enough iodine without worrying about an overdose in this single nutrient. A teaspoon a day in a smoothie would be a perfect amount to add just enough. Plus, it’s also an incredible source of food-based iron which is needed for optimal metabolism. Raw, unrefined pink sea salt is another excellent source of natural iodine from the earth and also contains other alkaline minerals such as magnesium, potassium, and sodium your metabolism needs to function at its best. Too little quality sodium and too much refined sodium can lead to blood pressure problems, metabolic disorders, and also thyroid disorders. Skip iodized (highly refined) processed salts and use real salt from the earth instead. B vitamins assist with metabolism, energy levels, digestion, mood health, and thyroid health. They are found abundantly in plant-based foods. 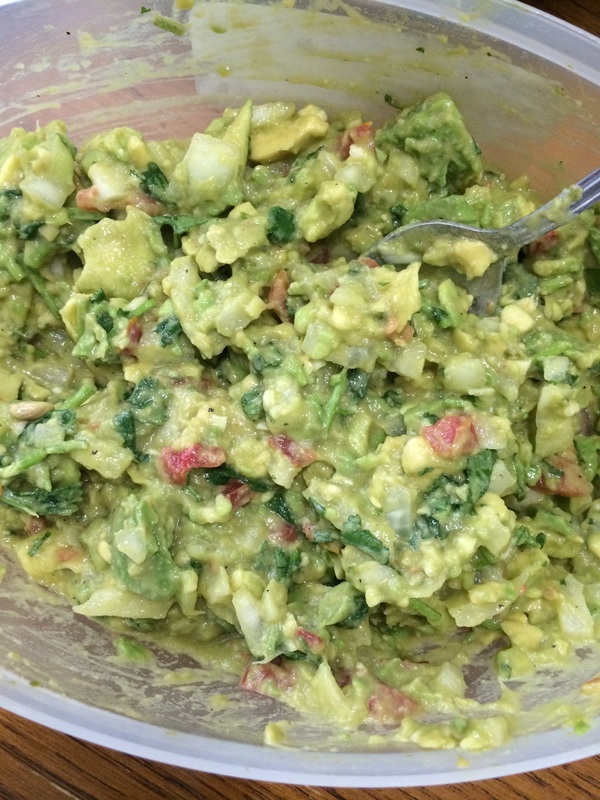 Some of the best sources are: avocados, greens, sweet potatoes, broccoli, bananas, figs, nuts, seeds, spirulina, coconut, whole grains, sprouted grain (flourless) breads, beans, legumes, and nutritional yeast. A steady intake of fermented foods like sauerkraut, kombucha, water kefir, pickles (not store bought), and anything else you choose to ferment will provide a healthy gut flora that will make absorption of the nutrients optimal. Lack of Vitamin B12 can also cause thyroid problems, but there is a sufficient amount provided by fermented foods and a few other plants like mushrooms. Selenium also supports the immune system and with fertility in both men and women. Possibly the most efficient way to get enough is to eat one Brazil nut a day; they have over 100 percent of your daily needs in just one nut. If you’re all about a fat-free diet for too long it could lead to thyroid problems. One reason being that healthy fats, specifically good saturated fats (found in coconut, cashews and cacao) are all necessary for a healthy thyroid. They help prevent high blood sugar levels that can lead to insulin swings which can alter metabolic health, increase stress hormones, and lead to hypothyroidism as a result. Try your best to avoid animal products with cholesterol since these have consistently been linked to other health issues like heart disease. You can get plenty of good saturated fats in your diet from raw coconut meat or raw coconut products (butter, shreds, flour), along with nuts like cashews that have a higher amount of saturated fats than some other nuts. Just a few tablespoons of these fats a day is all you need to support your body long-term. Other healthy sources of good fats to include in your diet include: almonds, avocados, dark chocolate (with no refined sugars-choose at least 85 percent cacao or higher or raw cacao), seeds, walnuts, and pecans. Avoid vegetable oils and try to only use coconut oil or olive oil if you choose to use oil at all. Excess caffeine, processed food, added and refined sugar, alcohol, and unhealthy fats can all cause problems with the thyroid and prevent optimal absorption of thyroid hormones in the body. There is also a great deal of controversy surrounding soy and cruciferous veggies due to their effects on the thyroid. The reason for this is because these foods contain natural goitrogenic properties. Goitrogens are a substance that prevents the use of thyroid hormones in the body. Know that though these foods do contain goitrogens, their effects on thyroid health only pose a negative problem if a great deal of them are eaten consistently on a day to day basis. It’s always best not to consume too much of any food, including these. As with anything you choose to place into your body use discretion with these foods; if they make you feel great, keep eating them but if you notice problems, be sure to eat other healthy plant-based options instead.